Work with the Stem Cell Translation Laboratory! The Regenerative Medicine Program (RMP) started in 2010 and is developing resources to catalyze therapeutic use of a special type of stem cells called induced pluripotent stem cells (iPSCs). RMP consists of two initiatives: (1) the Stem Cell Translation Laboratory (SCTL), headed by Dr. Ilyas Singec, within the National Center for Advancing Translational Sciences (NCATS); and (2) a Therapeutic Challenge Award to Dr. Kapil Bharti at the National Eye Institute (NEI). RMP also supports distribution of induced pluripotent stem cell lines developed by the program for laboratory and clinical research. Through these initiatives and resources, the Regenerative Medicine Program works to accelerate breakthroughs in the development of stem cell-based therapies for complex diseases. Induced pluripotent stem cells (iPSCs) are cells derived from patient tissues and transformed into a stem cell-like state where they can become any cell type in the body. 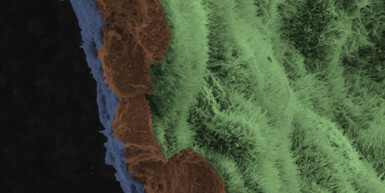 The development of iPSC technology opened unique opportunities in regenerative medicine, disease modeling, and drug discovery. Despite the potential benefits of iPSC technology, there are some limitations. These include the complicated process required to generate patient-specific, iPSCs safe for human use. To help overcome this limitation, the NIH Common Fund supported establishment of the Stem Cell Translation Laboratory (SCTL) within the National Center for Advancing Translational Sciences (NCATS) in 2015. Currently, SCTL is working with collaborators to address challenges that prevent translation of regenerative medicine applications from the lab to the clinic. In 2014, Dr. Kapil Bharti at the National Eye Institute (NEI) received a four-year Therapeutic Challenge Award to move his research beyond the pilot stage toward the clinical use. Dr. Bharti is developing a stem-cell based therapy to treat age-related macular degeneration (AMD), a leading cause of blindness in the elderly. Since receiving the award, Dr. Bharti and his research team developed a novel iPSC-based therapy to prevent blindness in animal models of retinal degeneration. In 2019, Dr. Bharti is expected to submit an Investigational New Drug (IND) application with the U.S. Food and Drug Administration to test the safety of the novel iPSC-based therapy in a Phase I clinical trial for AMD. Early in the program, RMP developed a clinical-grade iPSC line that meets current good manufacturing practices (cGMPs) and 14 research-grade iPSC lines to help translate iPSC-based approaches into clinical applications. These resources are available to the scientific community through RUCDR Infinite Biologics at Rutgers University. 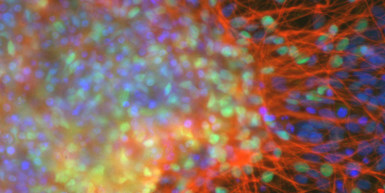 View the catalogue of RMP-generated iPSC lines at https://commonfund.nih.gov/stemcells/lines. On February 1, 2019 Rutgers University Cell and DNA Repository (RUCDR) issued a new stock for the research grade cell line (ND50038). The previous stock contained a duplication on chromosome 20 in the BCL2L2 gene that is not present in the current good manufacturing practice (cGMP) grade line (ND50039). To ensure that the new stock (NH50191) is free from the duplication in BCL2L2, RUCDR performed extensive quality control (QC) on a cell line isolated from the cGMP grade stocks and expanded under non-GMP conditions. This QC includes quantitative polymerase chain reaction for the BCL2L2 gene and copy number variation array analysis. The new stock is now available for purchase on the NINDS Human Cell and Data Repository (NHCDR) web catalog: https://bioq.nindsgenetics.org/. If you received a vial of the research grade cell line (ND50038) before the new stock was issued, you can contact Dr. Jennifer Moore at moore@biology.rutgers.edu to obtain a replacement vial. Technical questions related to this issue can also be addressed to Dr. Jennifer Moore. The SCTL at the National Center for Advancing Translational Sciences (NCATS), part of RMP, established six collaborations to help address the scientific and technological challenges in the induced pluripotent stem cell (iPSC) field. All data and resources produced from collaborations will be accessible through a joint scientific publication and the SCTL website. The SCTL will accept new proposals in November 2019. To learn more about SCTL take a virtual tour.